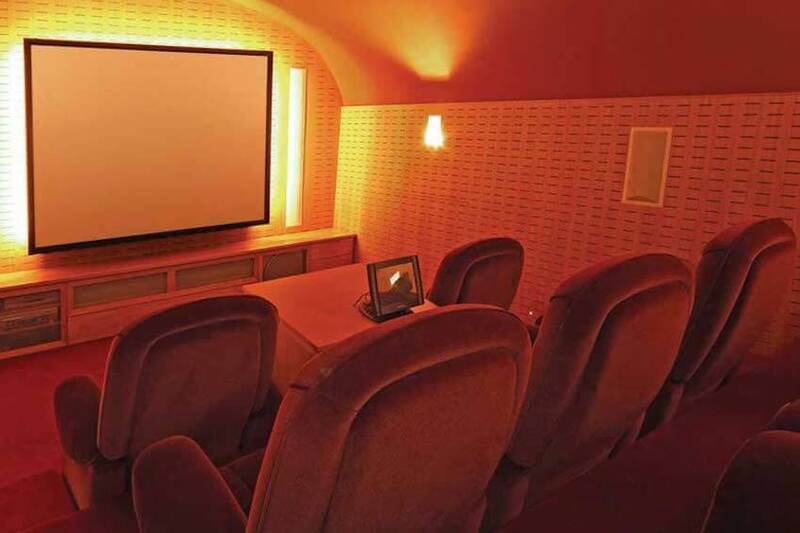 A private cinema that is exclusive for your holidays, it is the dream of every film buff! At Villanovo, we fulfill this dream for you and your family. In many destinations around the world, we offer exceptional luxury villas with excellent services and house staff at your disposal. 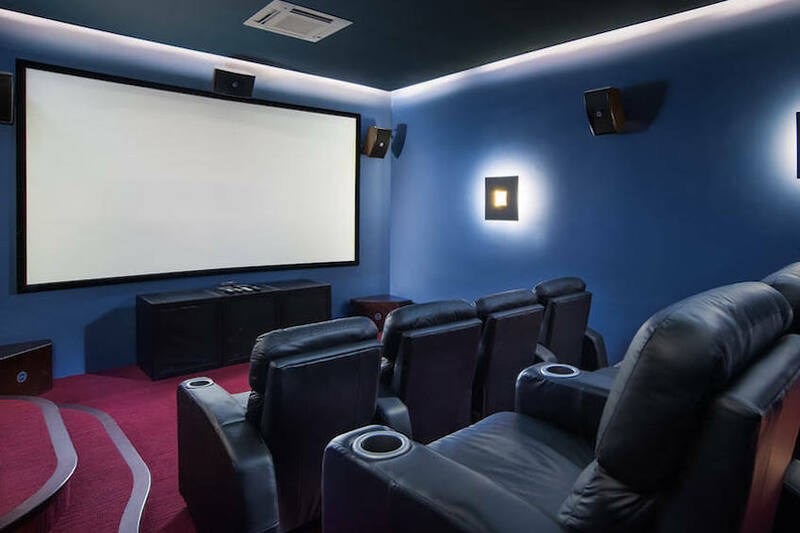 And, as we care about your comfort and provide you with the best possible services, we offer you the opportunity to stay in a villa with a movie theatre just for you! 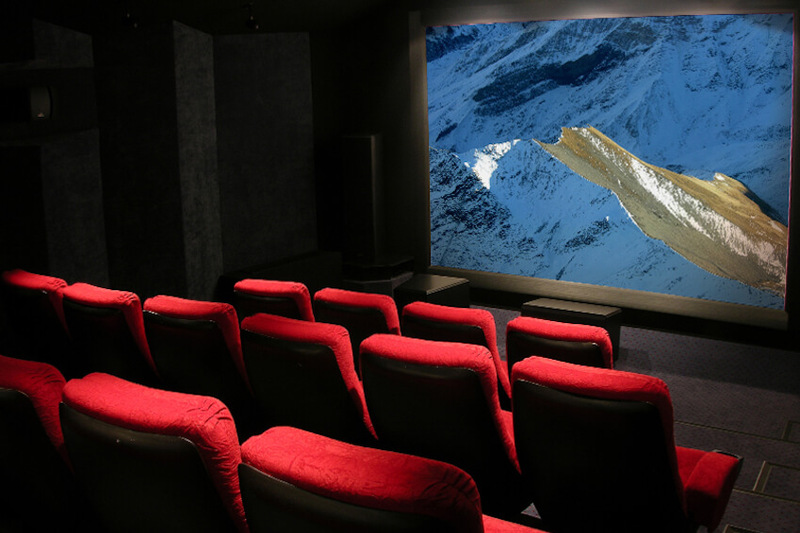 Enjoy an even better experience than in a real cinema. 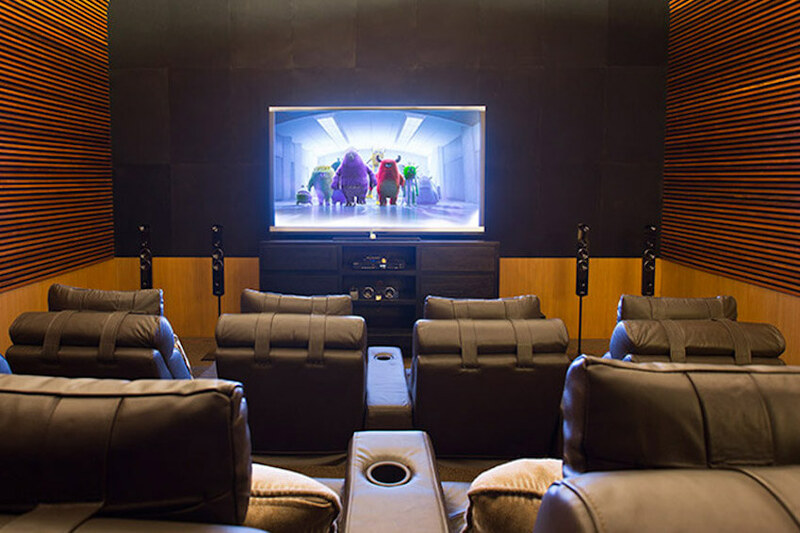 With large screens and soundproof rooms, watch quality movies in cozy armchairs, with popcorn in hand. With incredible views of the hills of Marbella and the Mediterranean Sea, Villa White Marbella is an amazing property located in the prestigious La Zagaleta resort that offers luxurious services in complete privacy: a club house, a restaurant, two golf courses, an arena for horse riding and even a heliport. In the heart of lush vegetation, it is ideal for holidays with family or friends, but also for ceremonies and big parties in a magical setting. With its Spanish architecture, it stands elegantly in a design decoration with high-end furniture. Inside, enjoy a private pool, a pool table and even a ping-pong table. You will also enjoy the services of a team of house staff who live in a separate apartment. In a huge area of 3,000m², Chalet des Marmottes can accommodate up to 16 people in the hamlet of Bellecôte, near the ski slope of the same name. 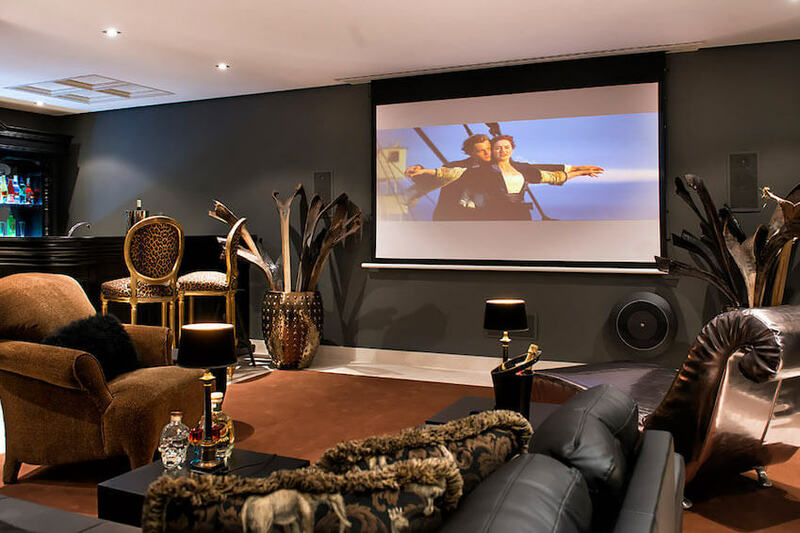 Inside, the large living rooms are fully equipped with a professional kitchen that can prepare meals for a large group of people, 8 bedrooms with private bathrooms and also two master suites of 100m² each, a living room and a dining room of 200m². In a property of more than 400m², you will also find an upscale spa with a swimming pool, a Jacuzzi, a waterfall, a gym and a hammam. 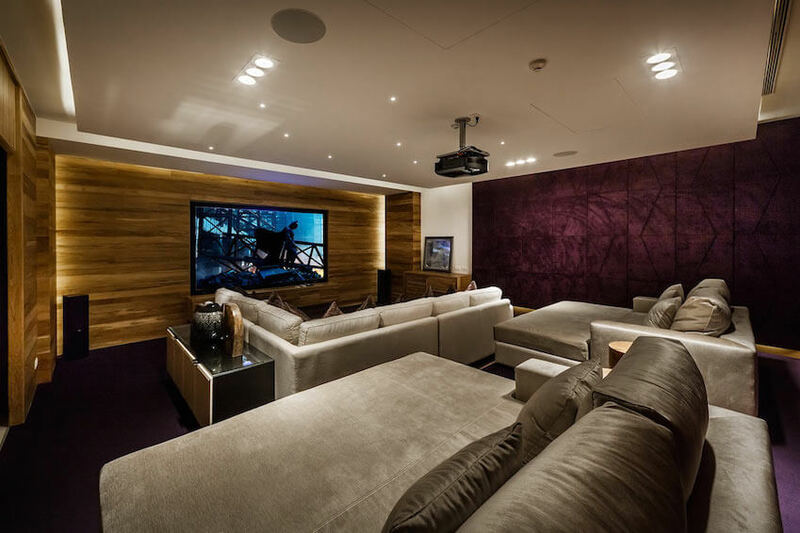 For your family evenings, you have a nightclub with billiards, as well as a movie theatre. Located 10 minutes from the best beaches of the coast, Villa Gran Hacienda Florentina welcomes you and up to 25 of your relatives and friends in the heart of lush gardens with tropical plants, palm trees and fruit trees. In modern facilities with quality services, the fully equipped kitchen will certainly please all food lovers. 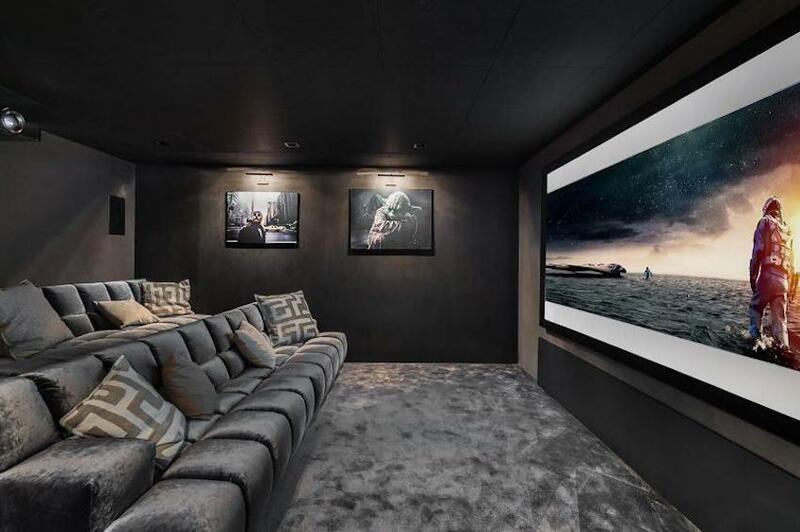 But most importantly, it is through the movie theatre that allows 18 people to enjoy a movie on large comfortable sofas with a choice of over 2,000 movies that you will be seduced. In the outdoor areas, share a tasty meal or a pleasant moment in the heated infinity pool and in the jacuzzi facing an incredible view. 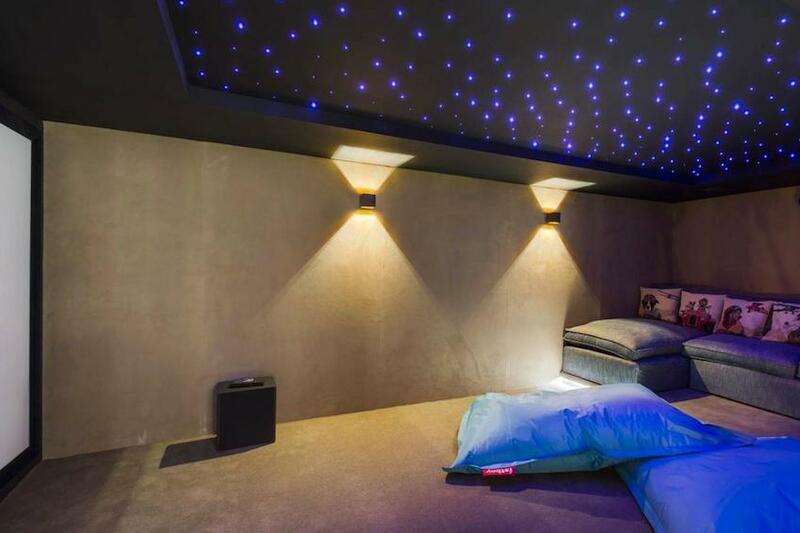 As a bonus, it has a sauna, a games room, a gym and a nightclub. Close to the ski slopes with quality services, Chalet Lamarte has everything from a luxury villa to the mountains. With its 6 ensuite bedrooms, it can accommodate up to 12 people in Megève, a ski resort that is very pleasant and appreciated for its quality restaurants. In the heart of the property, enjoy a hot jacuzzi, in contrast with the cool winter and in summer, enjoy the outdoor pool. 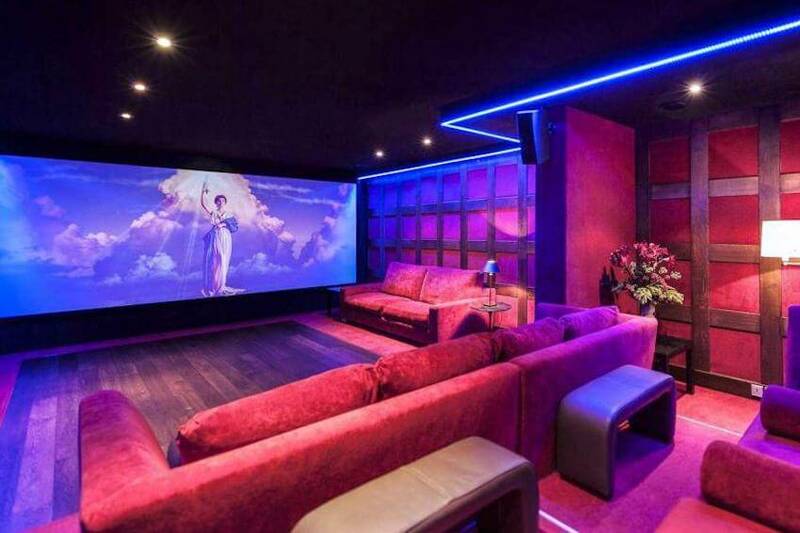 In the expected luxury, she has a gym and an incredible and intimate cinema room. In the exclusive domain of Cape Yamu, Villa Thaia offers all the luxury for an exceptional stay. Due to its elevated position, it offers breathtaking views of Phang Nga Bay and the waters of Andaman. A few minutes from restaurants and shops, enjoy direct access to the beach on the East coast of Phuket with splendid views. Inside the villa, the decoration is very refined, with superb heights under the ceilings, sumptuous rooms and bathrooms. Upstairs, the lounge area has a small pool, which can act as a swimming pool for children, with a jacuzzi. Real luxury villa, it allows everyone, young and old, to enjoy extraordinary services during a vacation. Indeed, with a private infinity pool, Jacuzzis, a fully equipped fitness room, a trampoline, games rooms, a cinema lounge with a golf simulator, a basketball court, a golf green and a tennis court, what more could you ask for? And to relax and get some fresh air, the outdoor bungalow has an ensuite bathroom with a private terrace that overlooks the sea. In the heart of the 3 valleys, the largest ski area in the world with 600km of slopes, Chalet Redstone is a wonderful property. With contemporary decor and high-class furniture, staying here is a pleasure. It differs from other traditional chalets in its modern appearance, in contrast with the white snow. Inside, enjoy luxury amenities such as a movie theatre, a gym and a spa with a sauna, steam room and Jacuzzi, to relax after a long day of skiing. Suitable for up to 12 people, enjoy the places in the heart of Courchevel. In one of the private residences of Spain, Villa Naturaleza is ideal for a beautiful getaway with family or friends in Andalusia. Marbella offers a holiday in complete tranquillity away from the hustle and bustle of everyday life to relax and clear your mind. In a peaceful park, the estate has a setting in the countryside near the Costa Del Sol, with an exclusive golf course. With a seductive harmony between the outdoor and indoor spaces, the interior decoration is made of organic materials like wood and marble and from the kitchen you have a view of the gardens, the pool, the mountains and the golf courses. In complete privacy, the property has a Jacuzzi, a sauna, a gym and a private cinema with an open bar. In a typical Savoyard style with an authentic and luxurious blend, Chalet Lisa is a very beautiful property in the heart of Courchevel. With magnificent views of the Bellecôte Glacier and the Dent du Villard, this beautiful and tastefully decorated house offers beautiful living spaces with excellent services: a swimming pool with hammam, a cinema room, a gym, a ski room, a semi-professional kitchen and even a terrace with an outdoor Jacuzzi. The perfect cottage for your mountain holidays! On the Zagaleta, Villa Sombrera extends on a property of 1,300m² in a beautiful garden. In Andalusia, a few minutes from Marbella, take a path lined with flowers among fruits and palm trees to discover this splendid residence with the air of Mediterranean Andalusian palate. Its red colour gives it a special character and its interior stands elegantly with ease. In the centre, the patio sports a beautiful space with green plants and a splendid fountain on a mosaic floor. In addition, there is an elevator to all floors and majestic suites with private bathrooms, as well as a wine cellar, a gym, a billiard room and a movie theatre. Outside, enjoy a long terrace and a heated pool with a breathtaking view. In the hamlet of Raffort in the Northern Alps, Chalet de Auges presents a warm and charming holiday setting in the mountains. 100m from the Raffort slope, it allows you to stay in the heart of the ski slopes and enjoy quality services. An elevator allows you to explore the various levels of the property. On the ground floor, the professional kitchen will be the home of your private chef who will concoct delicious dishes. 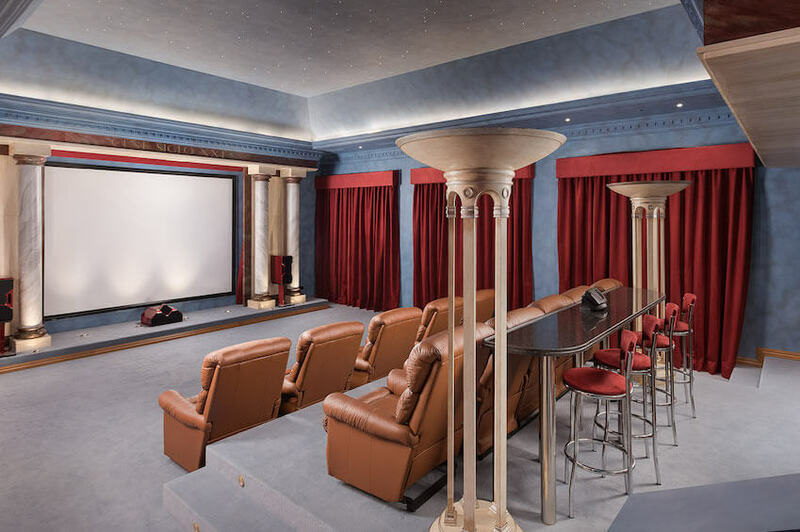 At the heart of the villa, the large living room, the massage parlor, the games room, the fitness room and the movie theatre will be your haven during your stay. And, for the ultimate in comfort, the indoor heated pool with swim against the current will allow you to relax, as well as the spa, sauna and steam room. Then, on the terrace, in winter or summer, enjoy the lounge area. In a serene, natural and refreshing setting, Villa Palo Alto is located in an exclusive private estate close to Marbella. Away from the world, in one of the most beautiful places of the Costa Del Sol, its architecture with modern lines and white geometric shapes blends in perfect harmony in the decor. It has a contemporary style with bright rooms thanks to large windows that let in light. 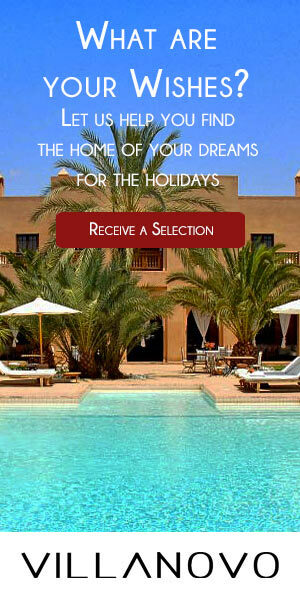 The rooms are spread over two levels with terraces overlooking the Mediterranean Sea and ensuite bathrooms. Then, enjoy a wellness area with sauna, a jacuzzi, a gym, a cinema room and even an indoor pool. Outside, from the living room on the terrace, you enjoy a view of the sumptuous park and the infinity pool. On the seafront, in the heart of Ubud's art and culture and its bustling streets, Villa Bayu Gita is close to a picturesque coastal village where you can discover traditional boats and beautiful surf spots. In this splendid villa, enjoy the services of a team of house staff who are attentive and anxious to ensure you have an ideal stay. Thus, a private driver and chef, among others, are at your disposal for your comfort. 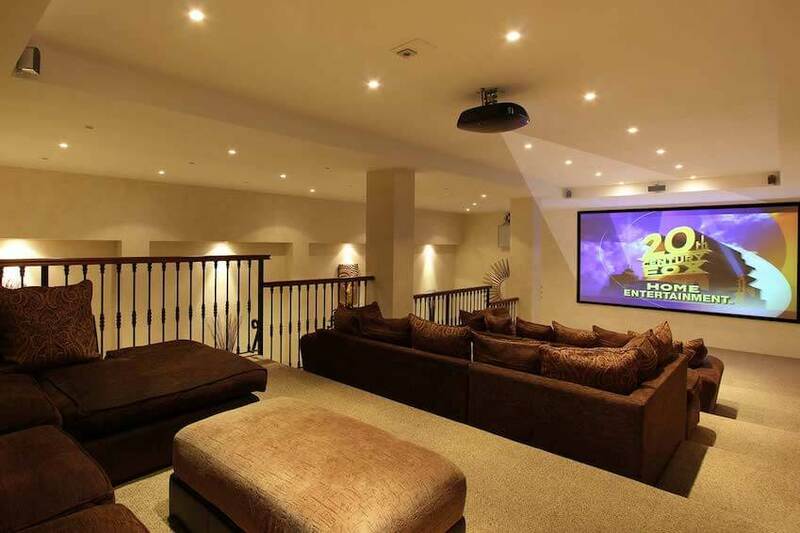 Inside the property, the movie theatre allows you to choose a film among the 500 available, an ideal plan for a family movie night! And, the gym allows you to keep fit during your vacation. As for the beds, you will find two parental suites with private natural pools. Outside, the large swimming pool with jacuzzi offers a wonderful view of the sea and Bali. "Located in front of the ocean and incredibly nice staff, very good team at Villanovo, especially Evane who was very professional." - Marie Charlotte A. In Megève in the Jaillet area, with a view of the slopes, Chalet Thana has retained the traditional mountain charm and harmoniously combines it with a modern style. This 5-ensuite bedroom villa features upscale decor with brand new equipment and bright rooms. Inside there is a private pool, sauna, cinema room, ski room, bar with wine cellar and fitness equipment will be at your disposal to fully enjoy your stay in the mountains. Located in the golden triangle of the "Spanish Tuscany", Mas Mateu is ideal for its proximity to one of the most beautiful coasts, the Costa Brava, in the nature reserve Les Gavarres, surrounded by medieval villages. In the region of Salvador Dali, also known for its gastronomy, this villa attracts the curiosity of all, luxury company, elite sportsmen as well as international singers. At the heart of this great Spanish area of ​​Empordà, it is ideal for private celebrations, birthdays or weddings. 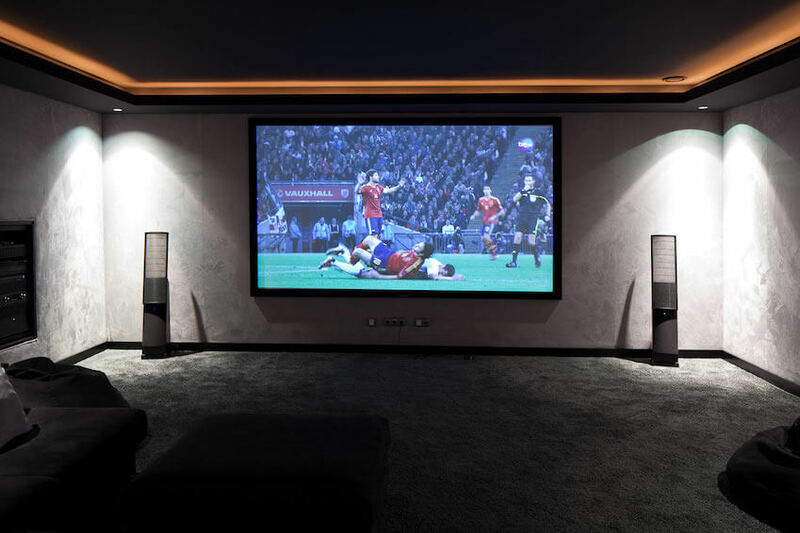 With high-standard facilities, enjoy a gym, a private pool, a football pitch, basketball court, a paddle court, a summer kitchen set in an old barn in the garden as well as a cinema. A few minutes from a golf course and the beach, share, with up to 22 people, the services of a very high quality house staff with a chef who can prepare a real Spanish banquet for you.